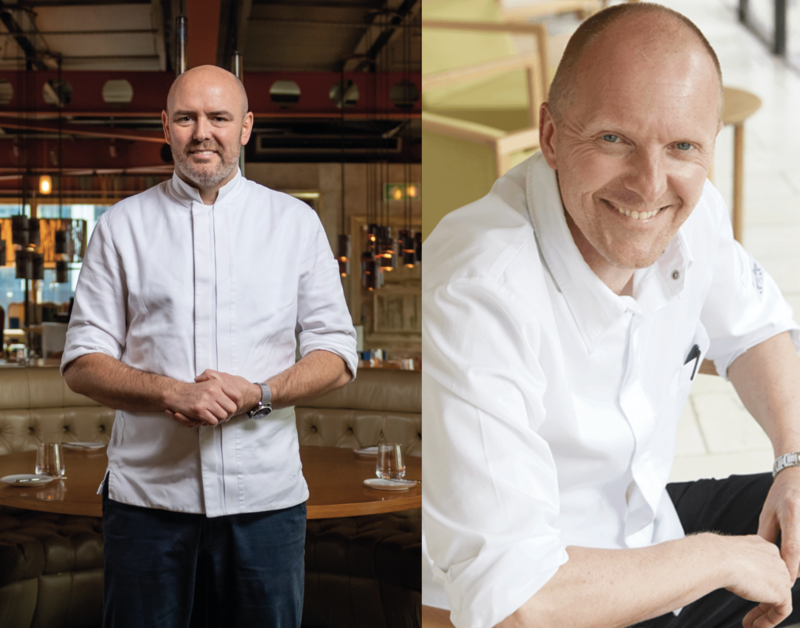 We have completely fallen in love with the gorgeous Restaurant MCR and so are delighted to pop up again for a special collaboration between two fantastic chefs Aiden Byrne and Luke Tipping. Alongside Aiden’s highly successful restaurant career, he has also been a familiar face on a host of popular culinary Television shows. His appearances include Masterchef, Saturday Kitchen, Sunday Brunch, Great British Menu, The Good Food Show and his work at Manchester House has been the topic of a hit documentary show on BBC: Restaurant Wars – The Battle for Manchester. His culinary expertise and accolades means that Aiden is also a big draw at many events and festivals throughout the UK and his food is highly acclaimed and receives incredible praise from diners and critics alike. As the chef director of one of Birmingham’s top culinary destination restaurants, we are excited to bring Luke and his team to Manchester. Luke is one of Sauce Supper Club’s champions and loves to work in a different environment, with new diners, providing a creative outlet for his ideas and inspirational cooking. His success at Simpsons, where he has held a Michelin star since 2000, truly speaks for itself. He is now a professor of culinary arts, having received a professorship from University College Birmingham. Simpsons has been at the forefront of Birmingham’s fine dining scene for well over a decade, recently being named in the Sunday Times top 100 restaurants in the UK. The duo will be showcasing their skills in the open style kitchen of Restaurant MCR where guests can see the whole team at work. Due to the nature of this event we can only cater for limited dietary requirements – please email in advance to check before booking. Please note parties of 2 may be sat with fellow foodies to maximise the tables available. Some Supper Club Members do not like to see the menu before the evening, however if you would prefer to see it please email hello@saucesupperclub.co.uk for a copy!